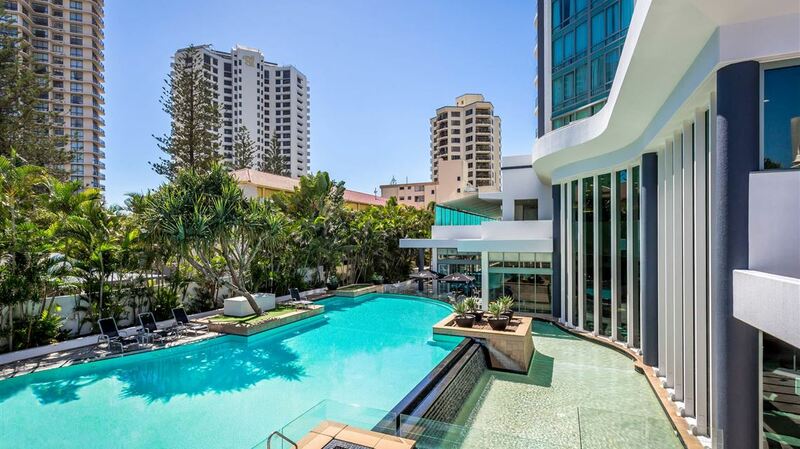 Mantra Legends Hotel is situated in the heart of Surfers Paradise, the ultimate Gold Coast location. 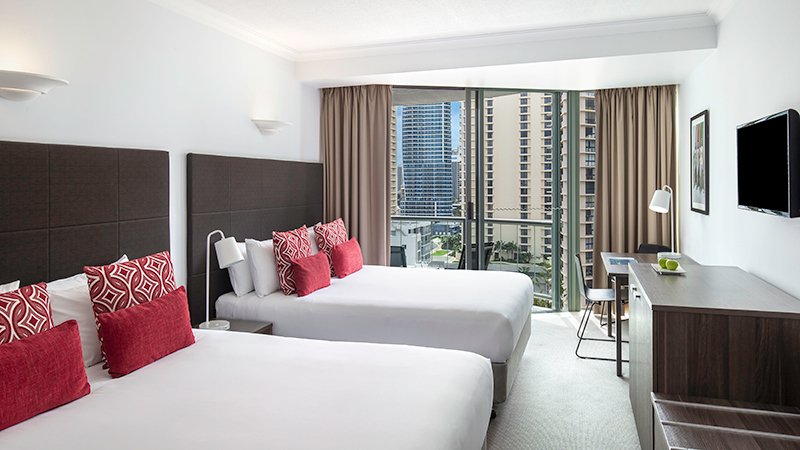 Our hotel in Surfers Paradise provides premium holiday accommodation just 100m from the pristine beach, making it the ideal base for families, couples or business travellers to the Coast. 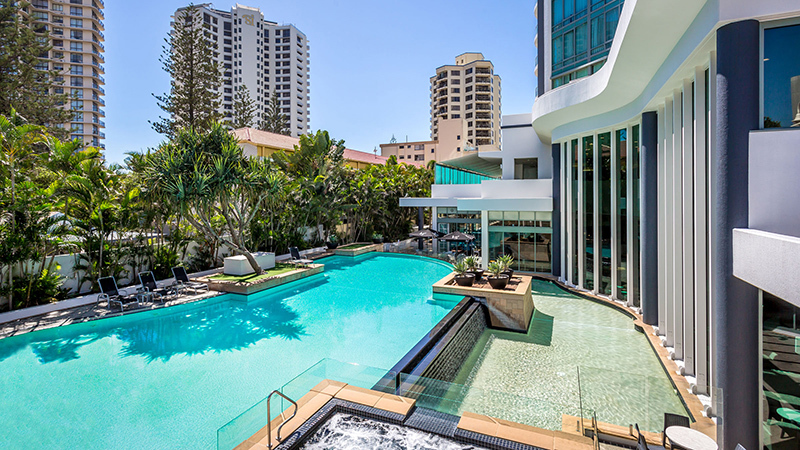 With its central Gold Coast location, Mantra Legends Hotel offers 357 contemporary rooms and suites most with a private balcony and each offering cable TV and wireless internet connectivity. 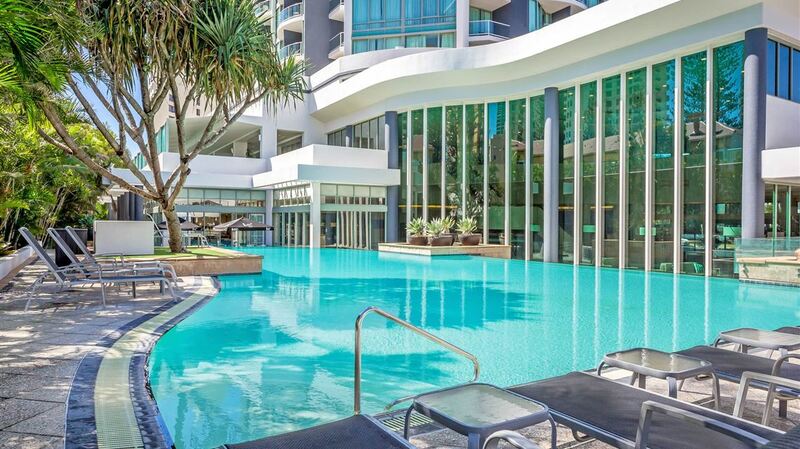 Premium shopping outlets and fine dining restaurants are just a short walk down the bustling city street and Surfers Paradise's famous nightlife scene is a mere five minute walk. 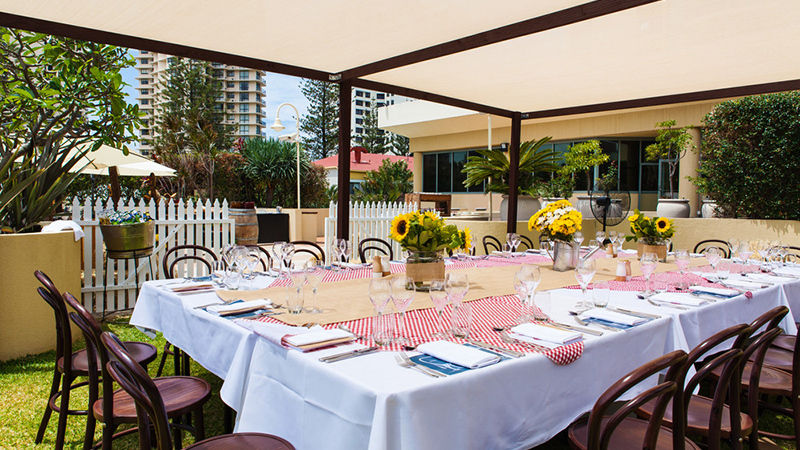 Onsite facilities cater to both business travellers and those on a relaxed getaway. We offer exceptional conferencing facilities as well as a beautiful outdoor door pool area, fully equipped gymnasium and relaxing steam room. Our guest services are first rate with 24 hour reception, secure undercover parking (subject to availability) and concierge. 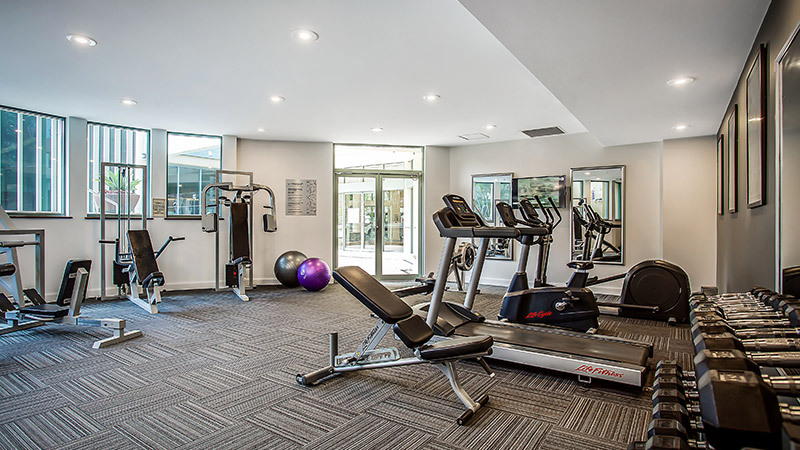 You don't have to miss a day or even a minute of your regular workout with our fully equipped gymnasium right here at Mantra Legends Hotel. There is also an inviting sauna as well as a steam room. Keep up with business, social networking, emails or just a bit of web browsing. 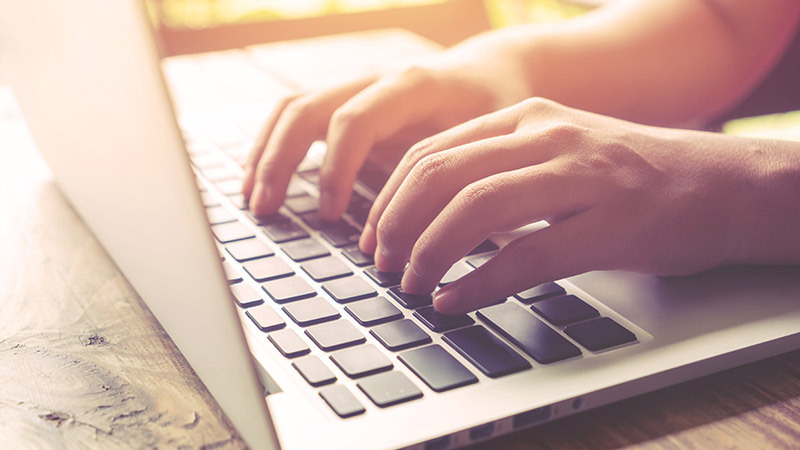 With this up-to-the-minute internet lounge right in your hotel, you can always keep up to date and in touch. For a small fee wireless internet is also available in all rooms. You'll just love chilling out in this lagoon style pool with cascading waterfalls. It's the perfect place to be when you're looking for somewhere to cool off or relax after a busy day of activity.